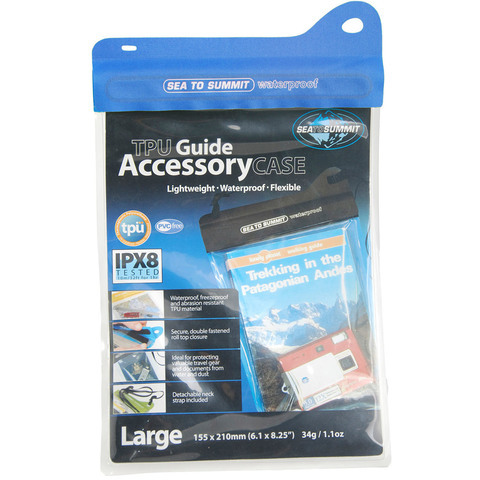 Whether you're trapped in a down pour or adventuring on the water, this awesome accessory case from Sea To Summit is the perfect way to keep your small essentials protected. The TPU Accessory Case has a fully welded construction that's waterproof enough for quick submersion. Dimensions: Small - 4" (L) x 5" (H) / Medium - 5" x 6.5" / Large - 6" x 8.5"